Lear LUF BD4.2 (universal fit version): The LUF is the universal version of the BD4.2 while the LCM is the customized version. Theoretically, they should sound about the same, although CIEMs have always performed better technically. While the bass knob of the LCM version can dramatically change the bass, the LUF version bass quantity is also ear tip dependent. For example, bass quantity of the LUF lags the LCM version with Comply foam tips while triple-flange tips boost the bass in comparison. The spatial presentation also changes with the different types of ear tips. The LUF version doesn’t perform as nearly as well at moderate volume levels and above due to the lower clarity within the soundstage. Sonically, the LCM version is more spacious while the LUF version is more mid-forward, with a closer and higher (above the listener) presentation perspective that doesn’t sound as natural as the LCM version. There is a large difference in presentation depth and imaging, as the LUF version doesn’t have the same spatial proportions as the LCM. The LCM version adjusts the presentation perspective to various tracks as does the LUF version, but the changes with the LUF version can become unnatural sounding due to the soundstage presentation getting pushed higher than is natural. Overall, the soundstage presentation is one of the biggest differences between the two versions. Note presentation is similar between the two in the bass and midrange, but the LCM version is cleaner in the bass region. The treble is significantly different between the two, with the LUF version having sharper notes that lack the natural decay of the LCM version that is more detailed yet slightly less articulated. Resolution within the soundstage is slightly better with the LCM version. Transparency and coherence are better with the LCM version by a good margin while clarity, dynamics, and punch are a bit better with the LCM. 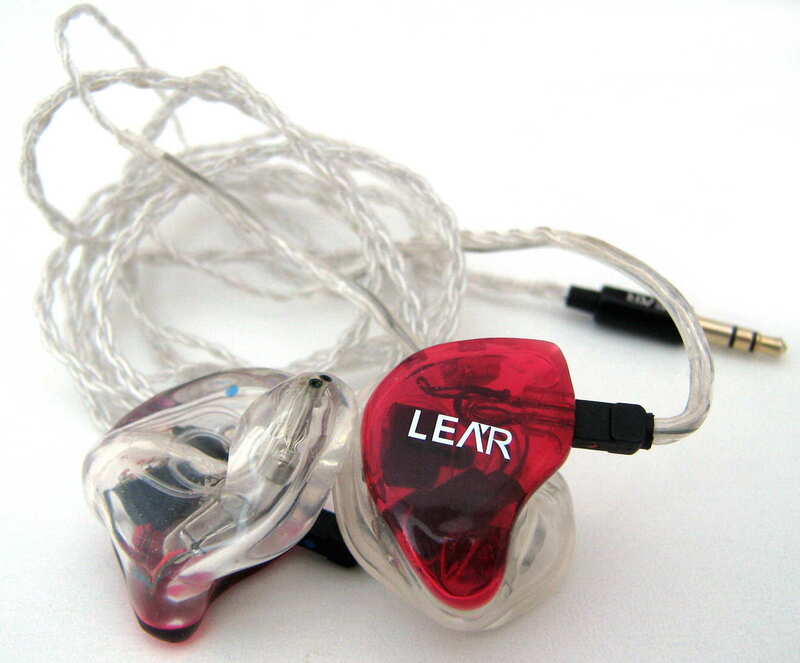 The Lear LCM custom version of the BD4.2 outperforms the LUF universal fit version by a significant margin mainly due to presentation characteristics and treble performance as the LCM version has a more accurate, spacious, and natural presentation. The LUF version can sound good when pushed by an exceptional amp such as the Portaphile Micro with MUSE2 op amps, but even with the DX100 headphone out, it isn’t the greatest performer. Spiral Ear SE 5-way Reference: The LCM BD4.2 bass was adjusted to 1 O’clock to achieve similar quantity to the SE5. Both of these CIEMs change their presentation perspective a good deal depending on how the track was mastered; however the SE5 is more up-front and intimate. While both change the presentation perspective, average note thickness of the SE5 changes much more significantly than the BD4.2, which maintains a thinner, cleaner sound overall. Certain tracks can sound much thicker with the SE5, which is more true to the track, but offers less clarity. The soundstage presentation of the BD4.2 is larger on average and a bit more distant than the SE5, although the projection of distant sounds is close with very spacious tracks. Focus and imaging within the soundstage are similar, but the BD4.2 holds a slight advantage while the SE5 has a slightly blacker background. During playback of neutral tracks, note thickness of the BD4.2 is slightly thinner than the SE5, but overall capability is similar and they both have a very natural note decay. Detail and resolution levels are similar, but the BD4.2 has better articulation while the SE5 has a bit more resolution within the soundstage and layering for a slightly more refined sound overall. Dynamics are close, with the SE5 having more overall capability, but the differences between tracks can flip-flop. 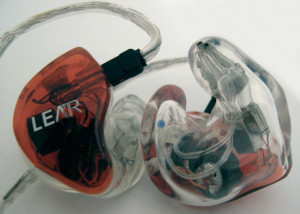 Transparency is also close with the track determining the superior CIEM. Clarity is similar, but the thinner average notes and slightly better focus within the soundstage of the BD4.2 gives it a slight advantage. The bass recreation of the SE5 and BD4.2 is different as the BD4.2 has more deep bass while the SE5 has more bass and mid-bass, along with more impact and punch in general. Quality is higher with the BD4.2 across a wide range of tracks, but with quality tracks the differences disappear. The midrange presentation of the two differs in overall size as the BD4.2 has a more laid-back overall sound, but both have similar proportions and presentations. The BD4.2 midrange is a bit more laid-back in comparison to the slightly mid-forward SE5. The upper midrange of the SE5 adjusts more than the BD4.2, leading to a more consistent sound from the BD4.2. The treble of the BD4.2 is typically more prominent, but the SE5 can have plenty of treble depending on the track. Quality is similar while the SE5 is more revealing of issues with poor quality tracks. While these two have many similarities as both adjust the presentation space with the track and present a lot of detail and resolution. The ever so slightly V-shaped Lear LCM BD4.2 offers a more spacious and consistent frequency response from track-to-track with generally a cleaner and clearer sound with a brighter sound and more enhanced deep bass. The slightly mid-centric Spiral Ear SE 5-way Reference in comparison is more revealing and less forgiving with better layering and resolution within the soundstage, playing to the strengths or weaknesses of tracks and sources better and shifting the sound signature more. Both perform at an extremely high technical level with the BD4.2 offering a more neutral sound, sitting between the SE5 and something like the NT-6, and the ability to adjust the amount of bass and overall tonality to an extent while the SE5 is more true to the recording. Unique Melody PP6: The LCM BD4.2 bass was adjusted to 50% for comparison with the active crossover PP6. The PP6 is warmer but both share a spacious presentation and overall sound. Spatially, the BD4.2 is larger yet a bit closer in presentation perspective, with better focus, clarity, and imaging within the soundstage, but the PP6 has slightly better layering. Detail levels, resolution, clarity, transparency, and coherence are all better with the BD4.2 while the PP6 is more dynamic. Overall, the BD4.2 nudges the PP6 for a lead in most technical categories, and with a smoother yet slightly more capable ADSR, the BD4.2 is more forgiving of poor tracks. The bass of both can be adjusted, and with boost off on the PP6 and a 12 O’clock position for the bass knobs on the BD4.2 the BD4.2 has better quality with more deep bass and texturing. The warmer PP6 has a thicker overall presentation that carries across the entire frequency spectrum. Midrange presentations are a different in many ways as the BD4.2 sounds much clearer and more open yet more forward while the PP6 has better background layering. The upper midrange and treble regions of the BD4.2 have more presence for an overall brighter sound with a more natural sounding note. Hidition NT-6: The LCM BD4.2 bass was adjusted a little south of the halfway point to get a similar bass quantity to the NT-6. The NT-6 is brighter and more forward than the more neutral sounding BD4.2. Spatially, the BD4.2 is much more laid-back with a more open sound, better imaging, and similar focus within the soundstage. Detail levels are similar but the NT-6 articulates the details more. Notes of the BD4.2 have a slightly longer attack and release for a slightly smoother sound. The brighter NT-6 has a minimal advantage in clarity while the BD4.2 is superior in transparency and coherence while dynamics are similar. The NT-6 deep bass is slightly boosted compared with the LCM BD4.2 while quality is similar, but the BD4.2 has better texturing. The BD4.2 has a warmer tone that carries through the spectrum. Midrange presentation is very different as the NT-6 is upfront, bringing detail to the forefront while the BD4.2’s more laid-back sound signature pushes the detail back in comparison. Upper midrange and treble of the NT-6 is more forward and prominent with sharper S’s, leading to a more natural sound from the BD4.2. These two are quite different, as the Hidition NT-6’s brighter and more forward presentation gives more immediate feel and a focus on the instruments while the Lear LCM BD4.2 has a more spacious and distant presentation perspective with smoother overall sound and tunable bass. Both perform at a very high level, but the BD4.2 overall outperforms the NT-6, however the choice between the two should be based on use and preferred sound signature. Hidition NT-6 Pro: The LCM BD4.2 is more laid-back than the brighter NT6P. Spatially, the BD4.2 has a larger overall space and a further back presentation perspective with better imaging while focus within the soundstage is similar. Notes of the NT6P are more aggressive in comparison with the BD4.2, which has a longer decay for a more natural sounding note, especially in the treble. Detail, resolution, and clarity of the NT6P are slightly higher than the BD4.2 due to the sharper notes that reveal more, and that detail is more articulated. With the bass knob at 1:30 (+ 1/8th turn over 50%), the bass quantity is similar, but the deep bass of the NT6P stands out more. Bass quality is very close, but the NT6P edges the BD4.2 while the latter has a good deal more capability in the bass region. The midrange of the NT6P is more forward and revealing with an analytical presentation while the BD4.2 has a more natural sound and slightly warmer tone. Upper midrange of the BD4.2 is a bit more laid-back, as is the higher quality treble. While in the grand scheme of things, both the Lear LCM BD4.2 and Hidition NT-6 Pro have a neutralness to them, they are also both quite different. The BD4.2 offers a more spacious and natural sound with adjustable bass while the NT6P is more analytical and articulates detail more. The choice comes down to what sound you prefer, and what you plan on using them for. Those that prefer to focus on instrument detail will benefit from the NT6P’s articulation while those that prefer a larger, more relaxed listening experience will prefer the BD4.2. M-Fidelity SA-43: The SA-43 and LCM BD4.2 sound similar in many ways as both are spacious and have similar tonality. Soundstage presentation from the BD4.2 is larger than the SA-43, but the BD4.2 midrange adjusts to the tracks while the SA-43 presentation perspective remains relatively steady despite the track. This can lead to the BD4.2 being more forward at times, or more laid-back depending on the track. Instrument separation, detail levels, transparency, dynamics, resolution, and clarity are all superior on the BD4.2 while imaging is similar. Notes of the BD4.2 are more natural than the SA-43, which has a rougher sound in comparison, resulting in the BD4.2 being more forgiving. With both having variable bass quantities, the BD4.2 outperforms the SA-43 with more adjustment, less distortion, better capability, and improved texturing while warmth is similar. The midranges differ in that the BD4.2 adjusts to the track while the SA-43 retains the sound signature which can result in a non-natural sounding proportion in comparison to the clearer and more focused BD4.2. Upper midrange is similar, but the BD4.2 has a bit more presence, which carries on to the treble, for a slightly brighter sound. The quality of the BD4.2 treble is higher as notes have a more natural decay. The Lear LCM BD4.2 and M-Fidelity SA-43 share traits of a large soundstage with a relatively laid-back presentation, but the BD4.2 outperforms the SA-43 in every way. That is a strong statement, but unfortunately one of my long-time favorites, the SA-43 has been beat at what it does so well, recreate space. Add that the BD4.2’s larger space changes with each track and presents with more detail resulting in a more realistic sound, and you have a winner. Ultimate Ears Personal Reference Monitor: The PRM and LCM BD4.2 share spacious presentations and a natural sound, but the sound signature is quite different. The PRM can be tuned to sound differently before getting your customized version while the BD4.2 bass is tunable at any time. The bass of the BD4.2 was set to about 60% of maximum for the comparison. Recreating the soundstage with a more precise sound due to better imaging and focus, the BD4.2 gives a greater sense of space in comparison to the slightly more mid-forward PRM. Notes of the PRM have a longer sustain for a bit thicker sound in comparison to the slightly more capable BD4.2. Detail levels are higher on the BD4.2 as is resolution within the soundstage leading to better transparency and coherence. The BD4.2 is more forgiving due to the more natural treble note decay. With similar bass quantity, the BD4.2 outperforms the PRM in bass depth and note sustainment while both are close in overall note quality. The PRM is slightly warmer and thicker, which translates to the midrange presentation giving the BD4.2 the edge in clarity within the presentation. The upper midrange of the PRM is a bit more laid-back than that of the more neutral sounding BD4.2, resulting in the PRM having a bit darker sound overall. Treble is more prominent with the BD4.2 and the quality is superior in both note attack and decay. These two offer different approaches to a similar end, offering spacious presentations with a laid-back perspective. The LCM BD4.2 outperforms or matches the PRM in technical performance in every category I rate. The advantage of the PRM is you can tune the sound to compensate for hearing loss or to your liking; however the BD4.2 offers bass tuning. The decision will come down to cost and use as the cheaper BD4.2 will please most, but sound engineers may prefer the pre-manufacture tuning capability of the PRM. Lear LCM-5: Comparing the previous Lear flagship, the LCM-5, with the new LCM BD4.2 showcases how far Lear has come in a short period of time. The bass setting is just a hair south of 50% for equivalent bass response. Spatially, the BD4.2 is larger in all directions and much more laid-back with better imaging and precision within the soundstage. Notes of the BD4.2 are more natural with a slightly longer average decay. Detail levels are higher on the BD4.2 and while both articulate well, the difference in presentation results in a relatively large disparity in detail delivery, with the LCM-5 details being served up on a platter. Dynamics, transparency, coherence, and clarity are all superior on the BD4.2, which is also more forgiving of less than perfect tracks and allow the BD4.2 to disappear in your ears in comparison. Bass quantity is similar, but the BD4.2 is more capable of sustaining deep bass notes and has an overall higher quality with better texturing. The midrange of the BD4.2 is much more airy, open, and cleaner as the LCM-5 can sound a bit congested in comparison. Both the upper midrange and treble of the LCM-5 are more prominent and pushed forward in comparison with the BD4.2, which has much better quality in the treble region. 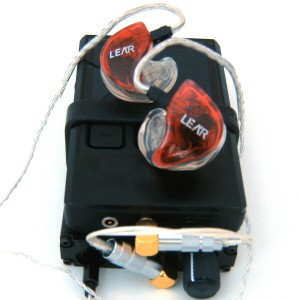 The new flagship from Lear, the LCM BD4.2, makes the old one, the LCM-5, sound aged and sloppy. The LCM-5 will articulate more detail, but at the expense of the effortless and natural presentation of the BD4.2. Moving from the LCM-5 to the BD4.2 will give a much more laid-back presentation to go with the rewards of the superior technical performance. [divider][sneak peek]Hidition Viento-R: The Viento-R and LCM BD4.2 have somewhat similar tonality but different presentation styles. The comparison was done with the bass switch of the Viento-R up and the BD4.2 bass set to 2 o’clock. Both have an openness to them, but the BD4.2 presentation perspective is more distant with an overall more spacious feel. Proportions are similar, but the BD4.2 has slightly more depth and images better compared with the width while the Viento-R has better focus within the soundstage. The average note of the Viento-R isn’t as thick as the BD4.2 note, with a quicker attack and release resulting in a slightly more aggressive sound. The BD4.2 has a slight resolution advantage within the soundstage, but detail levels are close and the better articulation of the Viento-R can give the sense of more detail. Coherence and transparency are about on par while dynamic range of the BD4.2 is a bit better. Bass of the Viento-R is faster and punchier with a more precise feel but the BD4.2 has much better note sustainment capability. The smoother LCM BD4.2 is warmer with a thicker overall sound through the more laid-back midrange. Upper midrange of the Viento-R is a bit more prominent, but has similar integration within the rest of the frequency spectrum. The treble of the Viento-R is slightly more prominent, but the BD4.2 notes exhibit a more natural decay. These monitors both offer sound tuning and a different take on neutral, with the Viento-R offering a well-articulated, fast, and punchy sound that brings detail to the forefront in contrast to the LCM BD4.2’s laid-back and more natural sounding notes. Picking between these will come down to the presentation of space and note, but picking up one of each will let you enjoy two separate perspectives. Source Summary: Despite the dual dynamic + four balanced armature driver configuration, the LCM BD4.2 isn’t too difficult to drive and sounds very good with lower-end sources. This is most likely due to the large soundstage presentation and laid-back nature that counteracts the typical small size and forward presentation of the entry-level sources. As amp performance gets better, so does the performance up to a point. DAC improvements also scale the BD4.2, but not as much as most other high-end CIEMs mainly due to the relatively good performance with lower performance DACs. This is somewhat reminiscent of the Spiral Ear SE 5-way Reference from a DAC perspective, but not an amp perspective. If the BD4.2 is for you, it should be as easy as grabbing your favorite source. Sure, there may be better, but the BD4.2 will pair well with most sources. 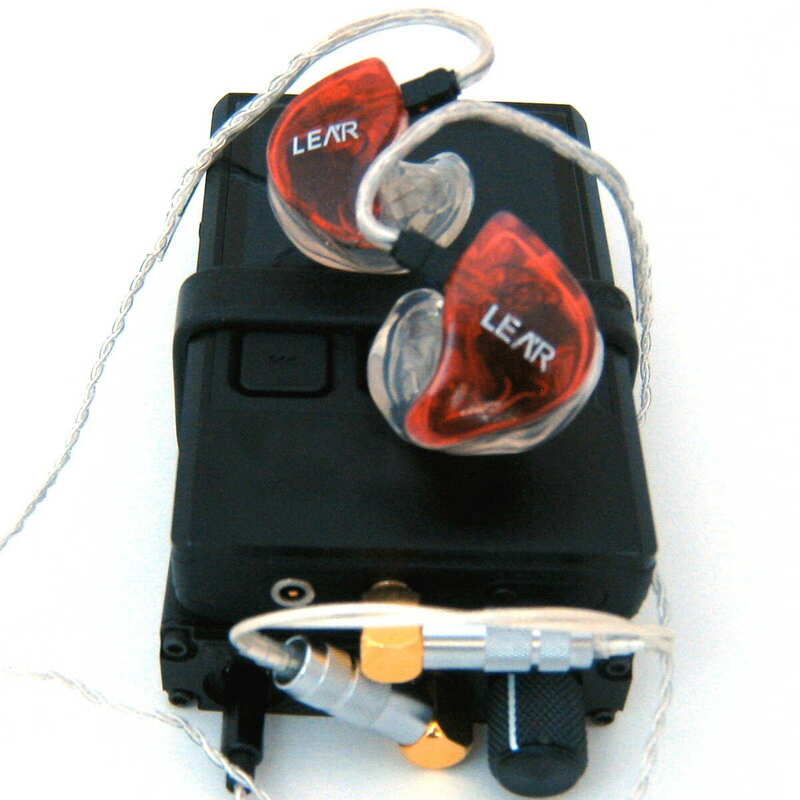 The Lear LCM BD4.2 hybrid custom in-ear monitor is a natural and neutral monitor that utilizes dual dynamic drivers with four balanced armatures resulting in technical excellence. Designed to be a neutral monitor, there is an excellent balance plus the ability to change the amount of bass to your liking. The laid-back sound gives an open, spacious feel with excellent projection that will result in looking around the room to see where the sound came from, only to realize those details are in your music! The dynamic drivers provide as much bass kick as you could want, and the balanced armatures resolve and articulate plenty of detail, yet with a very natural sound more reminiscent of high-end speakers and headphones. Many top of the line CIEMs require great sources before their potential shows itself, but the LCM BD4.2 shows its stuff even with entry level sources. The bottom line is, if you want a natural and neutral sounding earphone, enjoy a spacious sound, and want top-of-the-line performance, the Lear LCM BD4.2 is a perfect fit. 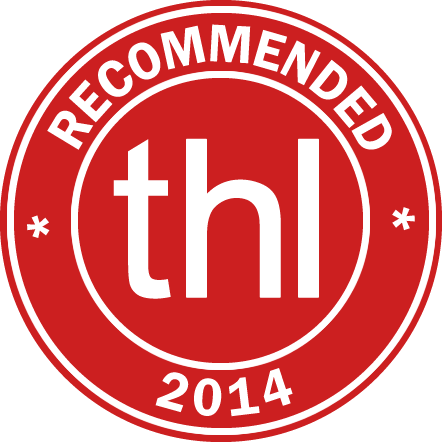 Hello, thanks for the review! 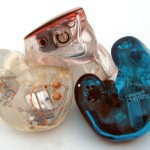 I’ve heard that this CIEM is merciless to bad recording, is that true? What do you suggest for people who have a lot of overbright Japanese recordings ranging from very bad to good enough? I’d like to have warm phone with very good and natural female vocal, strong bass that doesn’t intrude on the mids and non-sibilant treble, this could even take a seat back as long as it’s detailed and extended enough (don’t want it to be super revealing). I’d like it to be coherence too but I don’t really mind medium soundstage as long as it has good imaging and positioning (not super important but nice to have). The treble on my LCM BD4.2 is top-notch and actually quite forgiving, but unless you crank the bass it has a balanced sound vs. warm. The treble is more forgiving than others such as the Hidition NT-6, Custom Art Harmony 8 Pro, and even the Spiral Ear SE5; the BD4.2 treble is as smooth as I have heard. The LUF (universal) version is a different story as it isn’t quite as good and is tip dependent. Other options with more relaxed treble and similar overall quality are the Fit Ear PS-5 and to a lesser extent the AAW W500 AHMorph. If you have overly bright recordings, they would most likely be better options. I have decided to go with Spiral SE5 + Pure silver cable. I’m thinking about reference DAP. Be honestly, I like Colorfly C4 design. What do you think about it? Is it the best one for SE5 (Sound Quality aspect)? I have just sold my Stax SR 009 combo because I have traveled a lot. Now, I’m looking for a CIEM combo which have the similar sound to Stax SR 009. I see your list I think that may be Spiral Ear SE5 or Lear LCM BD4.2 can be my taste. In my country, there is no distributor of 2 brands so I can only blindly buy. Replacing a Stax SR009 with something portable is difficult, and nothing I know of offers the same sound as in-ears have a very different presentation perspective. Unfortunately, I haven’t had a chance to A/B the Stax with any CIEM, so I can’t say for sure what level of performance these two are at in comparison, but I would say the BD4.2 is closer than the SE5 purely due to the more open, spacious sound. What source will you be using, what type of music do you listen to, and what bitrate? What do you like best about the 009? Thank you for your reply. I know that it’s hard to replace Stax SR 009 so I’m looking for something close to it. Previous years, I owned Thiel CS 3.7 + Classe Pre + Edge Pow + Weiss DAC and feel very comfortable with it: Natural sound, mid and high is so real and detail, not too warm, color or analytic, bass and mid bass are very impact, not too strong to make me tired, just enough to make me excited, Singers and instruments are in right positions. Sum up, I could spend days and enjoy the music, not analyze the sound. And Stax SR 009 can do the same. I intend to use Hifiman 901 or iBasso dx90 or just ipod classic + portable DAC/AMP as sources, with music 16bit 48kHz (Something 192kHz is not my favorite, too detail and tired to enjoy). My taste is Pop (Field of Gold, Betrayal…), Country (Willie Nelson), Gothic Rock (like Phantom of the Opera performed by Nightwish band, Evanescence band), Alternative Rock (Simple Plan, Linkin Park, Guns and Roses, Nirvana), Some Opera. Metal or Jazz are not my favorite. Look forwards to hearing from you. Talking about source first, the DX90 plus Portaphile Micro with MUSE 2 op amps is an excellent, portable source. The amp is excellent and adds to the overall presentation a good deal. After reading about your music, I think the LCM BD4.2 is the best choice and the SE5 is next. The reason I say that is because I also listen to most of the music you mentioned and some, such as Nightwish, G&R, etc. aren’t mastered that well. Those flaws are very apparent with the NT-6 Pro, and the Legend also reveals the issues. While the SE5 doesn’t bring the issues to light in the same way, it is less forgiving than the BD4.2. The cable of the BD4.2 is Lear’s aftermarket cable, so I think it is a good thing to stick with. Would a Whiplash cable help? Maybe, but I can’t say until I have the time to pair the two. Thank you for your email. 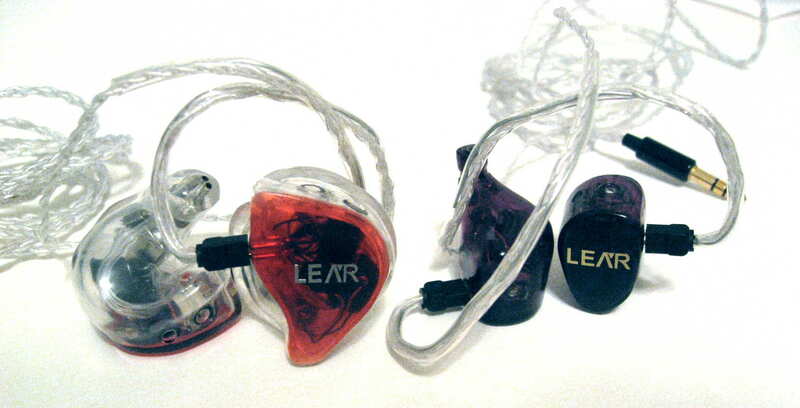 Lear BD4.2 has many advantages: Cheaper price, easy to order, sound signature is my taste. However, as I learn, silicon is better than Acrylic in isolation and softness. In my opinion, the comfort and stability when listening is the most important, SE5 win this point. 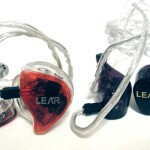 What do you think about the isolation and comfort when use acrylic CIEM vs silicon CIEM? About cable, what I learn form Speaker is that Pure cooper or silver is better then silver plated cooper. Thus, in your review, when you use silver cable (which make sound brighter) for SE5 (which is a little bit dark) the result is very good. 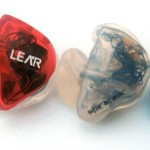 Please try pure cooper cable with Lear and let me know your feeling. I think that will be great. Still concern between Lear BD4.2 vs SE5. Silicone is typically better in isolation and softness, but that doesn’t necessarily mean better comfort. Fit is primarily responsible for comfort, and stability is dependent on both fit and your anatomy. I can be comfortable with either acrylic or silicone for extended periods of time if they fit right. I have needed refits with both due to discomfort and/or a bad seal. Isolation can be seen in the scores; silicone is better, and/or filled acrylic. I will post when I have a chance to test the BD4.2 with a copper cable. 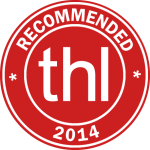 I love your reviews! It’s like a virtual audition….. enough said. 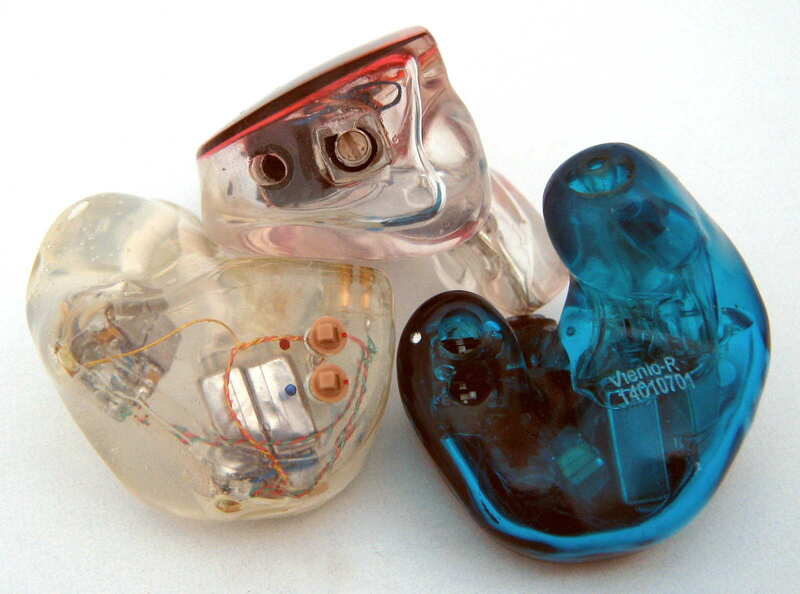 Wow…these sound like end-game neutral IEM and versatile to boot. The last time I heard about these was on the horror LUF tour thread. Tunable bass that never messes with the mids is the dream(for me at least :P). The versatility quotient skyrockets. Q : Is it easy to balance the L and R tuning knob positions? Or does it take multiple tries with every change. Depends on how sensitive it is I guess. PS: Mighty clip+ is mighty. The LCM version is an excellent performer indeed. As long as the knobs are in the same location, the sound is balanced. I haven’t yet had to adjust after my initial adjustment. The Clip+ can provide some excellent performance from the price. Thank you for such a great review. I’m having a hard time choosing between Noble K10, UM mentor and this. Can you give me any advices? I listen to every genre but mostly pop and vocal. I have only read about the sound of both, so I can’t give a first hand response. Why have you decided to choose between the K10 and Mentor? There are plenty of other CIEMs out there, so what about those two is attractive to you? Also, what other IEMs and/or headphones do you like/dislike? The place where i live has authorized dealers of Rooth, ADW, Custom art, JH, Noble, Hidition and UE so it’s easier for me to purchase products from companies above. I have read a lot of reviews about Mentor and K10, many say K10 is the best one out there while some claim the Mentor is even better. K10 has that amazing look and build quality and i just have to wait for a month to get it. JH is nice to but the waiting time just kills me. I have listened to many IEMs and headphone before but my ears sweat a lot so it’s pretty annoying wearing them for a long time so I decided to get a CIEM. My favorites are HE400, 500, HD800, IE800, Dunu 1k, 2k… Oh and what I like the most is the soundstage performance of an IEM or a headphone. In my mind right now are NT6+Whiplash hybrid combo, Mentor, K10, UERM and probably BD4.2. I’m planning to get a Hibino HDP-R10 to pair with one of the above :). But I couldn’t decide which one to buy. Ah. I agree that Noble products are art; stunning. From a pure sound quality standpoint though, I have heard mixed reviews on the K10. Looking at the headphones you listed, the HD800 seems to be an outlier. If you want a brighter sound, Hidition is open and relatively spacious, but not one of the available products. The UE PRM is much better than the IERM, but then it cost double. Let me know if you have any other questions. Thanks! Unfortunately I have never had the opportunity to hear the 1plus2. From what I understand, it is also spacious with neutral bass, but I don’t think it has as much space. Of course, without a comparison, there is no real way for me to know. Sorry.